The students and democracy. 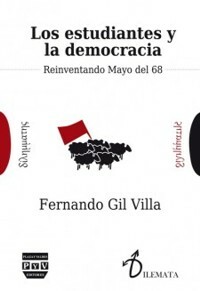 Reinventing May ‘ 68, the last book of the sociologist Fernando Gil Villa is stirring a lot of interest given the circumstances related to the student movements in Spain and in countries such as Mexico or China. It is necessary that students are made to echo the cry of those who suffer, because they are less prejudiced to understand them. The student movement is reactivated when the educational inequity and social inequality increase. Half a century later, the causes that gave rise to the events of may ‘ 68 are still present. In the field of education, the new reforms are a clear step backwards in the equality of opportunities, in the way advanced towards the comprehensive school, encouraging greater social reproduction through culture. In the social field, it seems that we return to a past disastrous rights and freedoms limited. Given the distrust of politicians and their parties, the mechanisms of formal control of the rulers does not seem to be enough. On the other hand, the majority of critical intellectuals, perhaps because they have not recovered from the disappointment that you suffered when you check the destination of the revolutions of the TWENTIETH century, seems today more focused on building their personal careers. Now, as the office of student consists in thinking, in questioning the problems which surround him, carries with it a social responsibility to look out for the other, to become the voice of those without a voice. To reinvent may ‘ 68 supposed to simply retrieve these signs of identity, set in a movement that overcomes the obstacles of fragmentation and self-interest ―to study for a degree that gives money and prestige, such as the teacher works by earning points that will give you equally money and prestige. It is one of the few reliable means available to achieve a more just society. Hence its need. The book presents a reflection on the role of the student movements in the last few decades and its relevance in the near future, taking as a point of support for the uprisings of May ‘ 68. Fernando Gil Villa, professor of Sociology at the University of Salamanca, has a strong track record in the study of the problems besetting the youth, especially those linked to social inequality and education. This formation, consolidated in recent years with the publication of numerous works, aquilata the present writing. The main objective of the book is to highlight the important role played by the students for the regeneration of democracy. The author, through a parallel historical between the current reality and the May of ‘ 68, highlights the importance that was then the action of the students as a counterweight to the perversions of neo-liberalism, and that, now more than ever, should be rescued in an increasingly globalized world. In this sense, the author illustrates constantly your argument with the student movement for mexican, chilean and Spanish contemporary. This comparison allows you to glimpse the lights and the shadows of each of them, as to prove the parallelism historic between the reality of then with now. Insisting on this point, not only stops in extolling the benefits of social in the student movement, but, in addition, supports it. How? By pointing out the ways that the student movement should be channelled for the achievement of a more just society in a global world. From the conjunction of these elements, the book is structured into seven chapters, along which, from a strategy myth buster of May ‘ 68, the author delves into the early humanists who led the student uprising, the French, to rescue them as goals to achieve in the present. The first chapters are hampered by the strong commitment of Gil Villa by framing his analysis through an approach to non-distorted of the reality. Consequently, from the start makes it clear that, although the handhold of the student movement contemporary need to respond to the values sesentayochistas, one must not overlook the risk of turning May ‘ 68 into a fetish. To do this, adjusting your analysis since a plane is not distorted of the reality, highlighting the problems not solved in that spring, now, sharpened, require new claim: the recovery of a humanist education, a greater equality and freedom. Currently, the author is an imbalance in the functions that it must fulfil the education system, listed greatly towards an economic function utilitarian neglecting the humanistic critique. This oscillation market-oriented generates a university numb. A sleepy general, induced by a very bureaucratic education, that subjects the student to a discipline narcotizadora. For example, the comprehensive programming of the tasks to be performed, both inside and outside the classroom, derived delEspacio European Higher Education, they do not allow the exercise of critical reflection. These activities are designed more for their future economic utility that humanistic, guide and direct the effort of the student to a proper formation of docile workers, rather than active citizens. Circle that we must break by reclaiming the humanist values of education. The overweight of the economic function of the educational system and its social consequences, in the judgment of Gil Villa, requires the action of the students for the change. They are the ones who must champion the ideals of a critical consciousness, and to struggle to re-balance the scales towards a civically of the educational system. Because of this mode will approach those who suffer, to those who are at risk of seeing their rights curtailed and freedoms and, above all, it will bring you closer to the goal of a more equitable society. In the last chapters, although the author insists on the claim that today, more than ever, the student movement must fight against the tendency to bureaucratization, specialization and privatization of education as to the problems of the system, takes it a step further and delves into the necessary reform of an education system that does not generate wills reviews. For this purpose outlines a guide with which to guide action. Fixed a few specific objectives, points out the dangers to avoid and a few functions to perform. That is to say, pergeña, in general lines, how to articulate the struggle to vindicate changes to those that achieve a humanistic education compatible with democratic values modern. In sum, we are facing a work to take into account to reflect and be critical of the world around us. From my point of view, Gil Villa understands well, which is one of the social functions most relevant to the University in a society in need of restoring confidence. Before the rantings of neo-liberalism, the anguish caused by the uncertainty of changing societies, the political class discredited and growing inequalities, the educational institution and the agents involved in it must stand as the beacon that illuminates in the dark to a society that loses the course. Another strong point of the work lies in the fact that the author arrives at concrete objectives, functions and proposals, giving substantiality to a speech that, without this required specification, you would lose persuasiveness to those to whom it is directed, the students, who should not forget that they are the best guarantee for democracy. Not only because their office consists in questioning the functioning of society, but because, by its character and condition, are the most suitable to represent the main role in the hard struggle for freedom and equality. In short, this book is the echo of what you require in societies marked by inequality is not material well-being, but social justice. 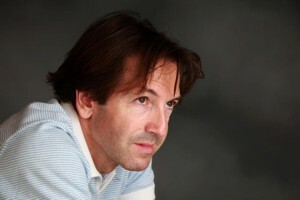 Fernando Gil Villa is professor of Sociology at the University of Salamanca since 1991. Visiting professor in numerous universities, especially in Latin america. Some of his books include: sociological Theory of education (1994), democratic participation in the school (1995), Sociology teacher (1996),social exclusion (2002), in Praise of trash. The resistance of the excluded(2005), Youth adrift (2007), Nihilists (2009), What it means to investigate. Exorcism of the research work (2013).